The Google Pay (Tez) is one of the top mobile apps which can be used for the fund transfer. Besides Tez, there are Paytm, PhonePe, BHIM, SBI Pay etc. You may not have used all of these UPI apps. So, how would you know that Tez is the Best app or any other app? In this post, I have reviewed the Tez app. I have also compared several aspects of this app with other prominent apps. The features of an app are its main selling point. The Tez has a unique feature of Cash Mode. This feature enables the fund transfer without entering any detail of the beneficiary. It finds out the beneficiary of the neighborhood using the sound waves. It works like Shareit or Bluetooth. The Google Pay (Tez) also gives you the facility to pay bills using Tez. It has adopted the Bharat Bill Payment system for this purpose. The bill Payment facility of the Google Pay (Tez) is common among all the Payment apps. But the Cash Mode is unique to the Google Pay (Tez). However, Tez has fewer features than many other apps like Paytm and PhonePe. But still, it fulfills all your payment requirements. You can make person-to-person payments using BHIM UPI and Tez wallet. And that’s what a payment app meant for. Just like other Google apps, Google Pay (Tez) has a simple and minimal user interface. Making payments through Google Pay (Tez) is also simple. Everything is nicely placed on the home screen in a clutter-free way. It has a lot of features including sending money and bill payments. And the way developers placed those options in the app is praiseworthy. Now, if we compare it to others, Tez is simpler than most of them. Only the BHIM UPI App beats Tez in terms of simplicity. PhonePe can also beat it considering its extra features. Most people don’t even care about its ‘revolutionary’ feature Tez Mode . The UPI is more than enough to satisfy the user’s need. Finding option to make payment through UPI might be difficult especially for first-time users. Because most of the screen area is covered by Tez Mode option. And below it, you find payments button that says ‘New’. Although it is placed under the payments section, ‘New’ button doesn’t make enough sense as a payment button. Apart from that, everything is good and flawless. And you get used to this option after using Tez app a few times. Hence, I would not say that Tez is difficult to use, but there are apps that are easier than Tez. Sending money is the primary feature of Google Pay (Tez) app. You can send money to anyone using UPI ID, mobile number or account details. You can also send money to your Google contacts who have activated Tez. You don’t need to enter UPI ID or anything to send money to your contacts. All you need to do is select the contact from the contacts list in Tez. Sending money using Tez is quite easy when compared to Paytm. However, PhonePe app and BHIM UPI offer more easy process to send payments. They require fewer steps to follow while sending money as compared to Google Pay (Tez) app. Google Pay (Tez) also allows you to request money from anyone using UPI framework. In fact, not just Google Pay (Tez) but almost all the UPI apps have this feature. This feature is handy for shopkeepers and merchants. They can enter the amount and description and send the request to the customer. Then the customer can accept the request and complete the payment without entering the details. All the customer needs to enter is UPI PIN and done. However, just for the sake of Tez Mode , this feature is also buried deep in Tez app. In Tez, you can only send payment requests from the payee’s transaction history page. You have to follow a long procedure to make a payment request. First, you need to tap on the new to add the payee. Here, need to enter the UPI ID, verify it and then add it. Then only you can send the payment request to the person. Whereas BHIM UPI app and PhonePe have the option to request money right on the home screen. It makes easy for users to make a payment request. You can also check your account balance using Google Pay (Tez) app through BHIM UPI system . You only need to enter your UPI PIN after choosing balance check option. Balance checking process is simple and fast in Google Pay (Tez). It is even simpler than BHIM UPI and PhonePe. In BHIM UPI app and PhonePe, you need to go to the bank account option to check the balance. On the other hand, Google Pay (Tez) allows you to check your balance right from the home screen. You need to swipe up from the bottom to access the menu. Then chose the check balance option and enter your UPI PIN to check the balance. The mobile number recharge through the Google Pay is convenient. In fact repeat recharge is very simple and need few steps. You would not see any distraction in Google Tez. The Recharge is really tez with it. Once you link a mobile number, you need few taps to complete the transactions. It shows all the past transaction in tile mode. It makes repeat transactions very easy. Even Google Tez offers to use another UPI app for the payment. Thus you can use the Tez for selecting the plan and pay using another UPI app. Although Google Pay (Tez) is a payments app, it offers chat feature too. Using chat feature, you can talk to a person before or after sending money. Suppose a shopkeeper requested you for a payment against your grocery. Now, you can use Tez’s chat feature to bargain. It is also handy, to ask details about payment before paying. You can also ask for confirmation using chat after making payment. Chat feature is exclusive to Tez and Paytm, PhonePe and BHIM UPI app don’t have this. If you use any UPI app except Tez, you cannot chat with the users before and after payment. Google offers chat facility through Google account. UPI doesn’t have any role on this facility. And you can only chat with Tez users. However, you can make payments to any UPI app through UPI ID. Google Pay (Tez) offers you four layers of security perhaps the most in any UPI app. The first layer is your Phone itself and second is your Google account. When you first sign into Tez using your Google account, it registers your phone at UPI server. Now, if you sign into Tez using a different phone, you must again reauthorize your phone. The second layer is your SIM card. You must your SIM card inserted on the Phone to activate UPI in Tez app. The third layer is the PIN or your phone’s default lock screen mode. Tez lets you use Google PIN or your phone’s unlock method to lock the Tez app. This way whenever you open Tez app, you need to enter the PIN or pattern depending on what you have set. And the fourth layer is your UPI PIN. 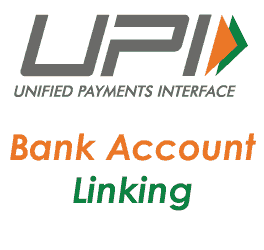 You cannot make any payment without UPI PIN. All the conclusively make Tez one of the most secure UPI apps. BHIM UPI app comes second in terms of security as it offers three layers of security. And Paytm and PhonePe offer only two layers by default. However, you can set an unlock method in Paytm so that it gets more secure. Hence, in terms of security, Tez is perhaps the most secure UPI app available out there. Learn More- Is Google Pay (Tez) App Safe or Not? Google Pay (Tez) provides you offers and cashback in form of scratch cards. You can earn these scratch cards when you make payments. You also get a cashback of 51 when you invite your friends and they make their first contribution using Tez. Your friends also get 51 cashback along with you. Tez has a various category of scratch cards. Some have more probability to give you reward over others. Almost all major UPI apps including Paytm, BHIM UPI app, and PhonePe provide offers and cashback. BHIM app offers cashbacks and merchant incentives for its users. Paytm offers cashback on payments and recharges. PhonePe also offers cashback on payments and recharges just like Paytm. But PhonePe’s policy towards cashbacks is more aggressive than Paytm. It gives cashbacks very often as compared to Paytm and even BHIM app. All in all, Google Pay (Tez) and PhonePe both offer better offers and cashbacks than their counterparts. However, Tez has a slight margin due to its cashback for inviting friends. use support ticket of Google Tez app from the app itself. Compare with Paytm and phonepe Googlepay service is poor. My friend send Rs. 2000/on 16.12.2018 through googlepay. Upto 26.12.2018 I Didn’t receive money. No way to contact customer care of Google pay. My money is deducted in my account but not send to receiver. & not refunded in my account.